Founded by the ancient Romans, the walled city of York is a place filled with history, charm, and tradition. From the iconic Gothic-style architecture to the pleasant and friendly demeanor of the people, everything about York emits elegance and style, including its hotels. 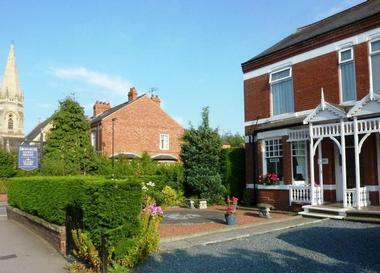 No matter your budget, location, or preferences, there’s sure to be the perfect accommodation in York for you on this list. The Grand was originally built in 1906 as a ‘palace of business’ for one of the most powerful rail companies in Edwardian England. One of the city’s handful of five-star hotels, you’ll be sure to experience unparalleled opulence during your stay. It has been described by The Times, The Telegraph, and Savour Magazine as contemporary, stylish, and radiating turn-of-the-century metropolitan grandeur. 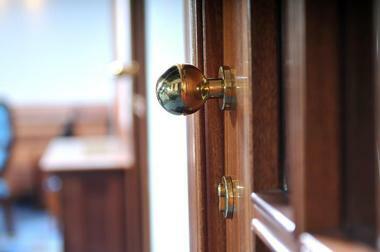 The rooms are spacious and chic, making them perfect for guests who are there for business or leisure. You can upgrade your stay with one of their luxury in-room packages which could include rose petals, champagne, chocolate-dipped strawberries, flowers, and much more. 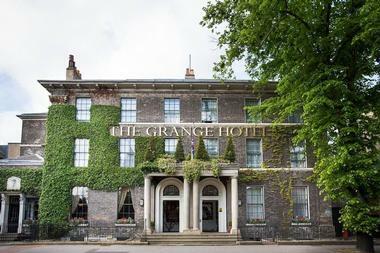 The Grange Hotel is a luxury, four-star hotel that has everything you’ll need for a memorable stay in York. No matter if you’re there for business or pleasure, The Grange Hotel is the perfect base for your activities and adventures. The building the hotel is housed in was built in 1830 and still retains much of its original grandeur such as the original sweeping staircase which welcomes guests as soon as they walk in. 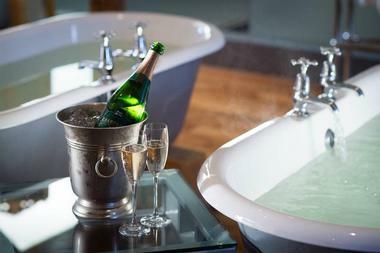 The glamor extends to the hotel’s 41 en-suite rooms, all of which include a Taylors of Harrogate hospitality tray, a flat-screen LCD television, luxury toiletries, and more. Though it is only two miles away from York’s city center, stepping into Middlethorpe Hall will transport you to a different world, a different era. The William III country house, which was built in 1699, was once the home of famous diarist, Lady Mary Wortley Montagu. The breathtaking structure sits on over twenty acres of stunning gardens and parkland for visitors to enjoy. You can treat yourself to excellent cuisine, luxurious accommodation, and treatments at one of the finest boutique spas in York. 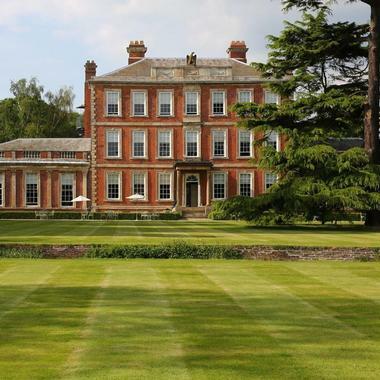 There are several events hosted at Middlethorpe Hall which guests can partake in such as wine tastings, special dinners, piano recitals, and other musical performances. You can visit the many historic attractions and destinations in York from the warm and friendly bed and breakfast, Barbican House. The late Victorian guest house overlooks the historic medieval stone city walls and is just a quick walk to the center of the city and popular sites such as York University, the Jorvik Viking Centre, and the Shambles. There are seven charming rooms to choose from, each of which are bright, airy, and uniquely decorated for guests to enjoy. All of the rooms are non-smoking and don’t allow pets but amenities which are provided include complimentary WiFi, private parking, and a free map of the area and its attractions. 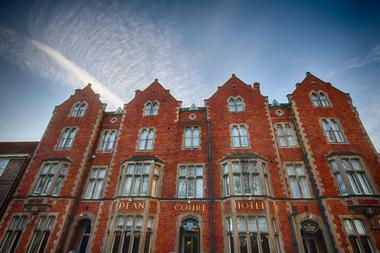 The Dean Court Hotel is housed in one of the most iconic buildings in York. The historic building has one of the best locations which puts guests right in the heart of everything there is to see and do in the area. There are 40 unique bedrooms to choose from in the 4AA Star hotel which is filled with charm and personality. Each room is designed with care and has an individual style, ensuring that each time you stay there you’ll have a different year surely pleasant experience. You’ll feel as if you’re in a home away from home when you are exposed to the incomparable comfort and facilities which are provided to guests. The Grays Court Hotel in York gives you the opportunity to stay and dine in one of the most vibrant and diverse accommodations in the city. The building’s colorful history includes being host to kings, has seen knighthoods bestowed, and is the only privately-owned building with direct access to York’s city walls. Staying in their luxurious hotel means that you’ll be able to enjoy a comfort and style that is unparalleled to any other accommodation in York. You can have a drink or dine in their famous The Bow Room Restaurant, visit the nearby sites, or just enjoy the character and comfort of your room. 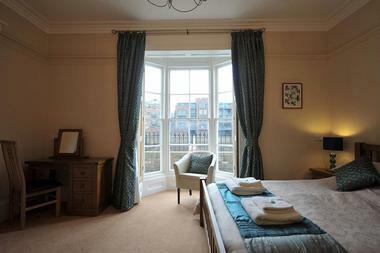 The Hedley House Hotel in York comprises luxury hotel rooms, self-catering apartments, and a spa. It’s the perfect place to take a break and rejuvenate yourself, have a romantic getaway with your significant other, or create lifelong memories with your friends and family. The hotel combines a friendly and laid back vibe along with style and elegance, giving you the comforts of home with the luxuries of a palace. During your stay, be sure to partake in one of their amazing spa treatments like hot stone massages and facials to dermalogica treatments. Book with them for additional benefits such as early check in and late check out, complimentary drink on arrival, a free glass of house wine when dining with them, and much more. Heworth is a family owned and operated guest house where Chris and Sue look forward to greeting visitors from all over the world. The beloved B&B is less than a mile away from York’s city center and only a mile and a half away from the York Train Station, giving you access to so many amazing things to see and do. Each of the rooms are decorated with great care and detail and include amenities such as wall-mounted LCD televisions, individual temperature control, and complimentary drinks like tea, coffee, and hot chocolate. Their breakfasts are renowned with guests and includes a generous full English breakfast with eggs, bacon, sausage, mushrooms, hash browns, and baked beans. The epitome of northern splendor, Hotel du Vin has 44 stunning bedrooms and suites which guarantee luxury and comfort to guests. 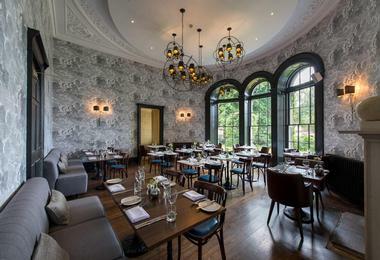 The hotel is peaceful and is housed in a beautifully transformed Grade II-listed building which was once a former orphanage. All of the hotel rooms exude character and history with its individual decor and style, and feature amenities such as hand sprung mattresses, deep baths, fine Egyptian linen, plasma televisions, and individual temperature control. The luxury suite, the Belle Epoque, is an open-plan, top-floor suite which is extremely popular with guests and is magnificent in every which way. Located right in the heart of all there is to see and do in York, the Hotel Indigo is one of the best accommodations to make base at during your travels. The rooms are luxurious and enjoyable, giving you both the comforts of home as well as the extravagance of staying at a renowned boutique hotel. 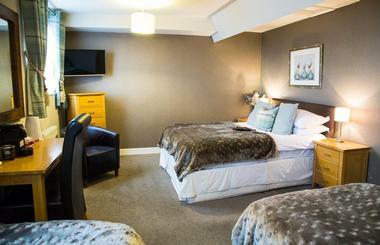 You can unwind, relax, and have a wonderful time in York without ever leaving your room. If you do venture out, just have a chat with our staff as they can give you tons of tips on how to get the most out of your stay. An additional benefit of staying at Hotel Indigo is that you’ll have direct access to one of the best bars and restaurants in the area, the No. 88 Walmgate. 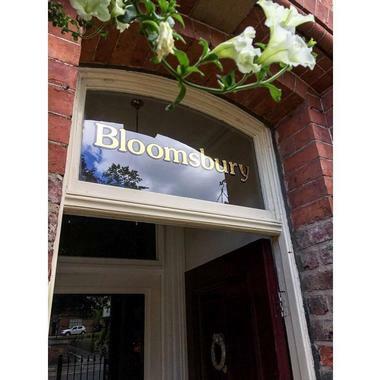 The Bloomsbury is a family-run bed and breakfast at which the Townsleys go above and beyond to ensure their guests have the most memorable experience. 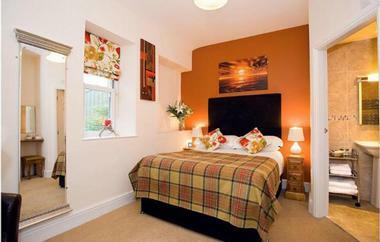 They have won several awards over the years, include “Bed & Breakfast of the Year” by VisitYork. Rightly so, as guests are offered an array of meticulously styled rooms which are filled amenities to better their stay. One of the things that past guests have constantly praised is the breakfast served, which is made fresh every morning with locally-sourced ingredients. You’ll be just a short walk away from the historic York city center and attractions like Castle Museum, the National Railway Museum, and The Jorvik Viking Centre. 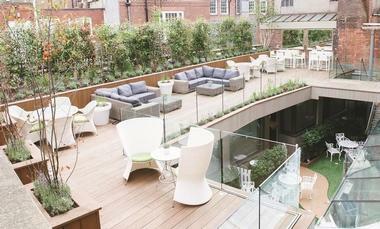 The Churchill Hotel is a luxury hotel situated in York’s historic city center. The extravagant Grade II structure is a Georgian mansion which dates back to 1827. 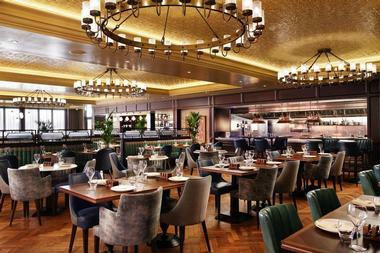 You’ll witness a combination of contemporary design as well as traditional English heritage in the lovely hotel. Staying at The Churchill Hotel means that you’ll be right in the heart of the city, amongst the city’s best shopping, dining, and entertainment venues. Each of the individually designed rooms has original features that are highlight by rich Georgian colors. Amenities include an HD TV, complimentary WiFi, tea and coffee making facilities, and top-range Duck Island toiletries. A privately owned and operated endeavor, Ascot House and the Wood family have been welcoming guests to this breathtaking oasis for over twenty-five years. The Victorian house was originally built in 1869 and can be found just a short stroll away from the city center. In addition to the beautiful rooms you’re sure to fall in love with, you’ll also be able to make use of additional features such as their spacious residents’ lounge where you can relax, watch television, and socialize, or enjoy a delicious cup of tea or coffee from the Butler’s Pantry. In the morning, you’re invited to feast on their award winning breakfasts or take a walk through the public gardens next door. 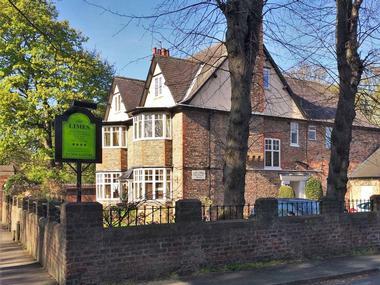 A quick walk away from the center of historic York, the Alcuin lodge Guest House is a wonderful bed and breakfast accommodation. 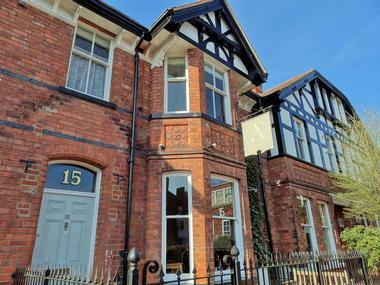 The B&B sits amidst a quiet and peaceful residential area that is just a short walk away from some of the finest shopping, dining, and entertainment venues in the area; it is also only a ten-minute walk from York Railway Station. 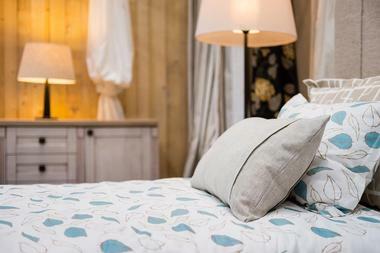 You’ll have five rooms to choose from in the intimate, independent guest house, each of which has unique decor and personal touches that will put you at ease. All room rates include parking, complimentary WiFi, and a full breakfast which will accommodate any dietary restrictions you may have. 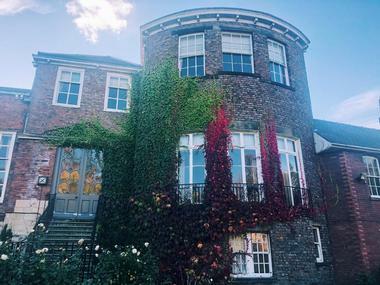 Staying at The Judge’s Lodging means that you’ll be right in the center of York and all of its main attractions, while also enjoying yourself in a Georgian townhouse that is full of charm and elegance. The Grade I listed building dates back to 1710 and was originally built as a private residence before it became the residence of judges attending the Assize court sessions, hence the name. 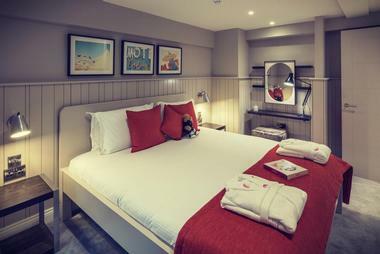 Now, you’ll find the hotel to be one of the most comfortable accommodation options in York, and one that is bursting with character around every corner. In addition to the marvelous rooms, other aspects also include the courtyard, two fabulous bars, and one of the biggest beer gardens in the city. Offering luxury apartments in York, The Lawrance Luxury Apart-Hotel is a self-catering experience that combines the services of a boutique hotel along with the privacy of apartment living. The well-appointed and stylish accommodation is perfect for short breaks as well as extended stays, giving you home-away-from-home comfort but with extravagant services that will make your stay memorable. You can pick from fully-equipped studios to three-bed serviced apartments, all of which are centrally located near some of the area’s best shops, restaurants, bars, and attractions. Other aspects of the luxury apartment hotel include a private courtyard on premises, full kitchens, lounges, on-site coffee shop, and complimentary WiFi, flat-screen televisions, and iPod docks. 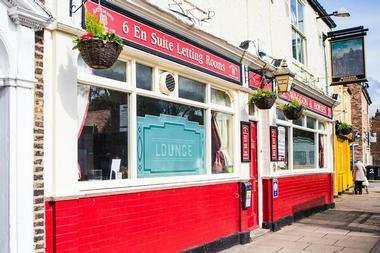 The Limes Guesthouse is a family run establishment which can be found right in the middle of the historic city of York. 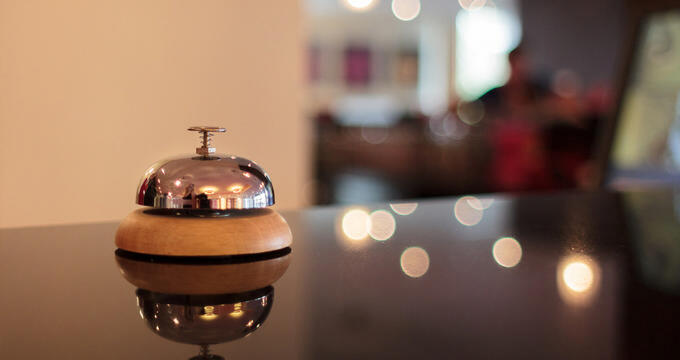 During their years of operation, the guesthouse has been recognized with several awards and a 4-star rating for their amazing facility and service. Guests are invited to unwind in the comfortably-appointed lounge, enjoy the outdoors from the surrounding gardens, or bask in luxurious privacy in their en-suite room. Each room is fitted with a flat screen television, a welcome tray with local favorites, and Gilchrist & Soames toiletries. All guests can make use of complementary features such as on-site car parking and WiFi. The Little Hide is an adult-only glamping site that makes for the perfect place to get away from the hustle and bustle of the world for a few days. The accommodation is nestled in the Yorkshire countryside and is so serene and peaceful that you’ll think your miles away from civilization, when in reality you’re only minutes from the city center of York. 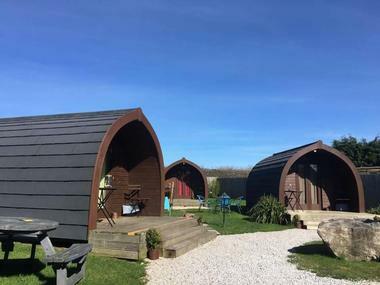 There are several room styles to choose from; you can stay in a camping pod, a chic cabin, a Nomadic yurt, or a beautiful gypsy bow top caravan, all of which are fully furnished to meet your needs. You’ll be able to enjoy all of the exciting of camping, or glamping, without worrying about pitching tents and bugs in your sleeping bag; instead you’ll be enjoying real beds with feather duvets! The Mount Royale Hotel has been providing a luxurious and memorable accommodation experience for its guests for over fifty years. You’ll be just minutes away from the historic city center of York, while being surrounded by amazing amenities that will guarantee you have a wonderful stay. The hotel is situated at the top of The Mount, which is one of the most picturesque approaches into the historic city. In addition to the charm and character which exudes the rooms and hotel’s shared spaces, you’ll also have access to the beautiful gardens which surround the hotel, a cozy coffee lounge, and a restaurant which serves exceptional cuisine. Formerly the St. Denys Hotel, The Parisi Hotel York is a centrally-located, boutique hotel which will surely exceed your expectations. The family-owned independent hotel is one of the most popular bed and breakfasts in the area. There are 11 room to choose from, each of which is filled with character and retains its charm from when it was originally a Victorian rectory. 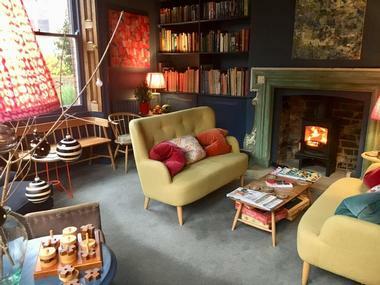 Have a delicious meal in their brightly lit breakfast room, read a book in the cozy library sitting room, or unwind in the charming courtyard garden - there’s so much for you experience during your stay. The Riverside York is a unique hotel which combines both comfort and luxury for their guests to indulge in. The self-catering townhouse and apartment accommodations are spacious, elegant, and are set in a quiet terrace which overlooks the river. You’ll be within walking distance of some of the greatest attractions and York’s historic city center. Choose the perfect accommodation for you based on what you need and stay for as little or as long as you would like. Guests are urged to have a chat with the staff so that they get all of the insider details on where to visit and eat while in the lovely city. The Waggon & Horses is a traditional pub which serves cask-conditioned ales from some of the best breweries in the region. Along with their wonderful pub setting, they also offer an array of en-suite bedrooms which make for the perfect base when exploring everything there is to see and do in the historic city of York. Just imagine the environment and spirit of staying at a lively pub - it’s sure to make for a holiday experience unlike any other. And there’s always something going on at The Waggon & Horses, whether it’s a performance by the Slightly Notorious Ebor Morris dancers or a challenging game of darts. Wheatlands Lodge is a traditional, 5-star, boutique bed and breakfast which is family owned and operated. 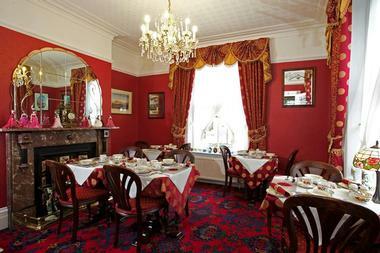 The B&B dates back to the 1860s and still retains much of its original charm, from the architecture to the hospitality. Guests staying at the historic house will be minutes away from the York Train Stations and an array of shops, restaurants, and entertainment venues. 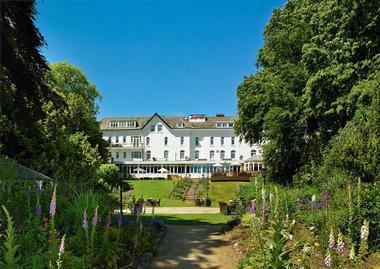 You won’t even have to leave the hotel premises to have an amazing stay; you can enjoy the shared spaces within the hotel or take a stroll through the surrounding gardens and on to the nearby Lake Windermere. Marriott is a renowned brand in the hotel industry across the world, and you shall expect no less than exemplary service while staying at the York Marriott Hotel. The four-star hotel is elegantly decorated, offers impeccable service to its guests, and is surrounded by idyllic scenery which will put you in a relaxed state of mind as soon as you enter. Located just outside of the city of York, guests will still be within a short distance from all of the popular things there are to see and do. Additional features and amenities include plush featherbed mattresses, flat screen televisions, WiFi access, a well-equipped gym, and much more.